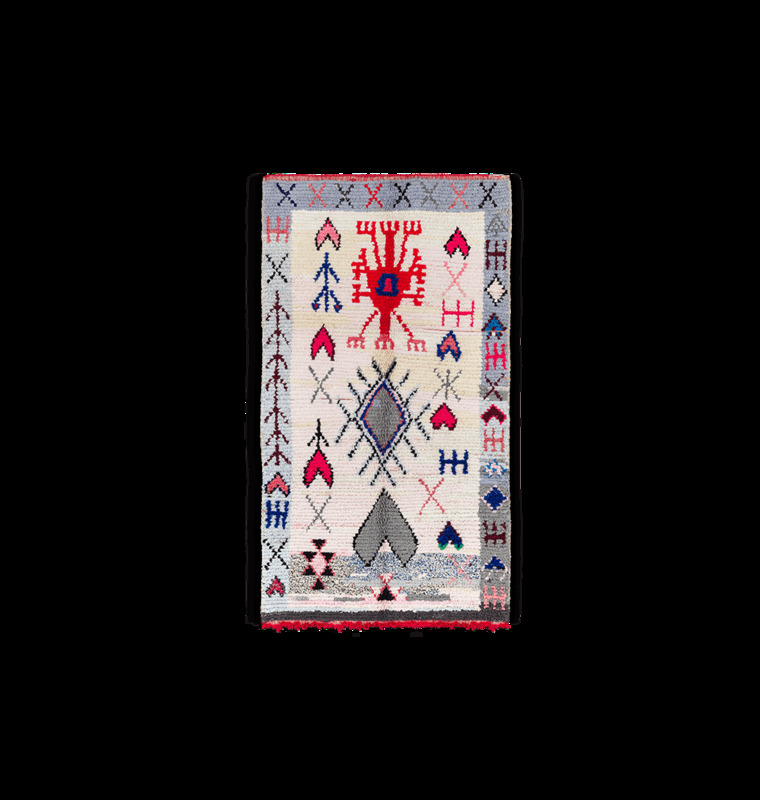 The Boucherouite rug is a Berber carpet made of a patchwork of various fabrics (wool, cotton ...) assembled by hand to give shape to an original and colorful creation. The result is an atypical rug with an irregular composition that makes each piece unique. 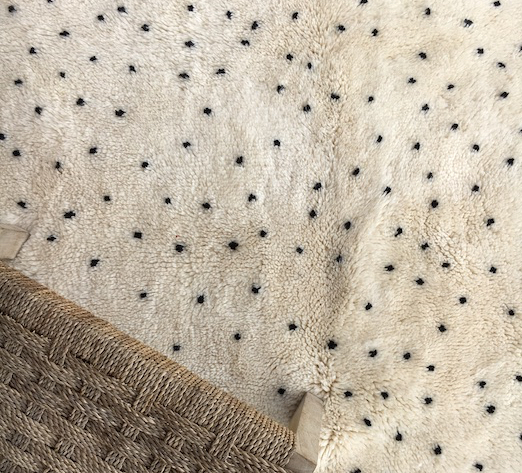 These carpets bring color and relief to give a singular and friendly character to living spaces. The Boucherouite also called "boucharouette" is well known artists and interior designers in search of novelty and fantasy. 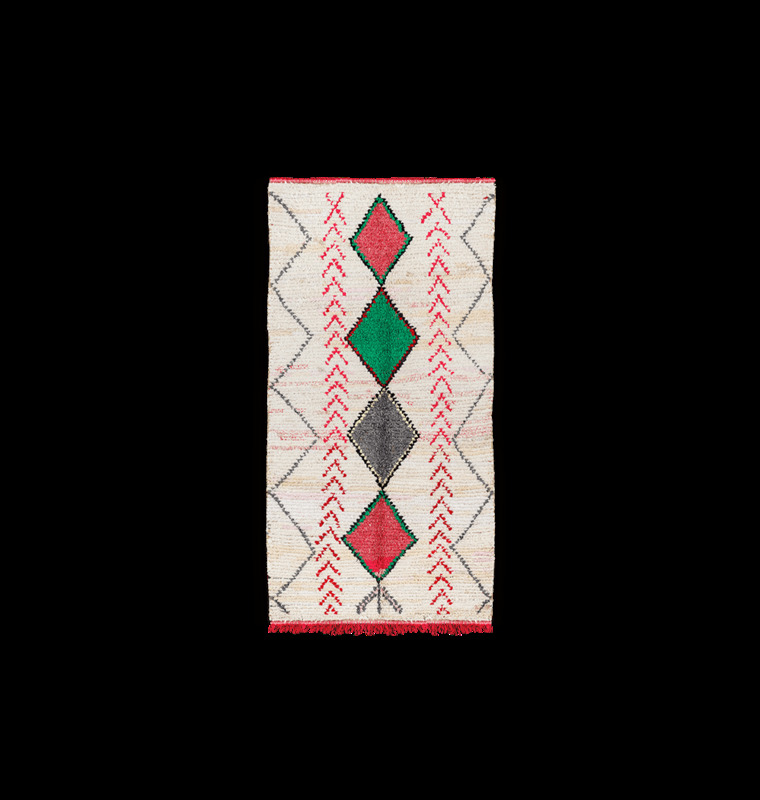 Discover our collection of Beni Ouarain rugs, Azilal, and other Kilim rugs.